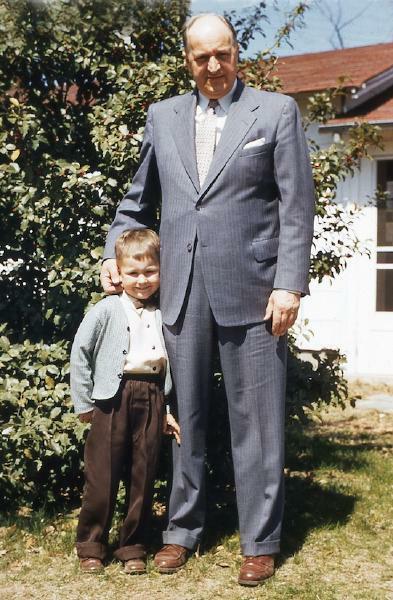 Frederick Augustus Vorwerk was born on 3 June 1906 in Niagara Falls, Niagara County, New York, named for his paternal grandfather Friedrich August Vorwerk, whose death occurred the preceding year. A photograph taken during 1906 of the Vorwerk and Laurier families celebrates the birth of Frederick Augustus Vorwerk. Josephina Schwab Vorwerk, mother of August Vorwerk and Friederika Vorwerk Laurier, also appears in the photo, having arrived in the US in November 1905 for an extended visit following the death of her husband Friedrich in August 1905. Pictured are Carl Laurier, Josephina Vorwerk, Elizabeth Kammerer Vorwerk, Friedericka Vorwerk Laurier holding infant Frederick, and Eugene Laurier. August Vorwerk likely was the photographer. He was christened/baptised on 2 September 1906 at Zion Evangelical Lutheran Church, Niagara Falls, Niagara County, New York. Sponsors were Herr and Frau Eugene Laurier. 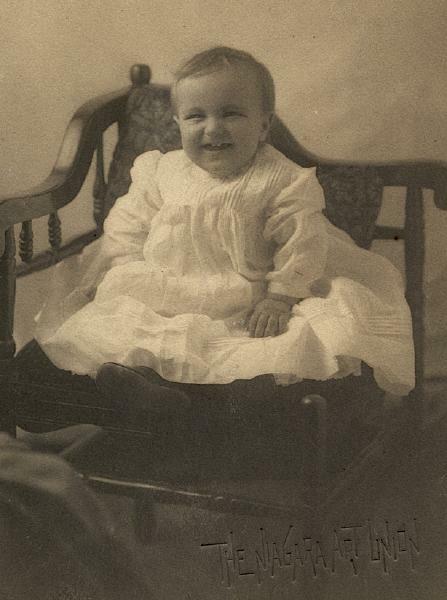 A photographic portrait was made of Frederick on the occasion of his first birthday. Frederick Vorwerk, his first birthday. The following appeared on 29 July 1907 in the Niagara Falls Gazette: Mr. and Mrs. August Vorwerk, their children and Ludwig and Carl Laurier are sojourning at Thousand Island Park in the St. Lawrence. Libby, August and young Fritz were photographed during an outing about 1909. A photograph was made of the August Vorwerk and Eugen Laurier families about 1909. The following appeared on 19 July 1909 in the Niagara Falls Gazette: Mr. and Mrs. August Vorwerk and children of Ontario avenue, Mr. and Mrs. Eugene Laurier of Linwood avenue, and Mr. and Mrs. Ludwig Laurier left this morning for a two weeks' sojourn at Alexandria Bay. And on the 29th, Mr. and Mrs. Eugene Laurier of Linwood avenue, Mr. and Mrs. August Vorwerk and children of Ontario avenue, and Mr. and Mrs. Ludwig Laurier, have returned from an outing at Wilson, N.Y.
August Vorwerk and Elizabeth Susanna Margaret Kammerer appeared in the US federal census of 15 April 1910 in Niagara Falls, Niagara County, New York, at 1324 Ontario Avenue. Other members of the household included Frederick Augustus Vorwerk, Elsa Vorwerk. 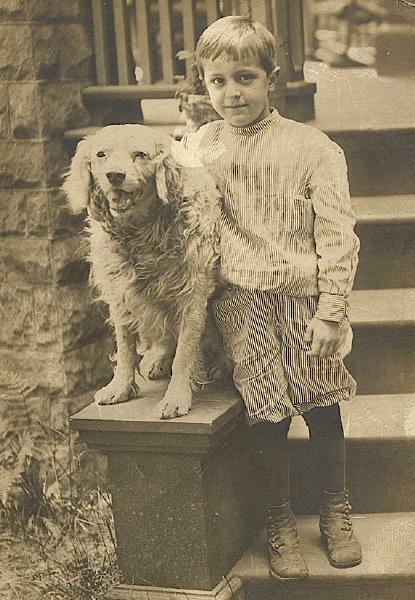 Young Frederick was pictured with his dog Moxie about 1913. August Vorwerk and Elizabeth Susanna Margaret Kammerer appeared in the New York state census of 1 June 1915 in Niagara Falls, New York, at 1324 Ontario Avenue. Other members of the household included Frederick Augustus Vorwerk, Elsa Vorwerk. The following appeared on 21 November 1918 in the Lockport Union-Sun & Journal: On the estate of August Vorwerk, of Niagara Falls, who died August 26th, letters testamentary were issued to Elizabeth Susanna Margaret Vorwerk, the widow. The estate, valued at $4800, is given to the widow. Two children also survive. Elizabeth Susanna Margaret Kammerer appeared in the US federal census of 1 January 1920 in Niagara Falls, Niagara County, New York, at 1630-1/2 Ontario Avenue. Other members of the household included Frederick Augustus Vorwerk, Elsa Vorwerk. Elizabeth Susanna Margaret Kammerer appeared in the New York state census of 1 June 1925 in Niagara Falls, Niagara County, New York, at 1636 Ontario Avenue. Other members of the household included Frederick Augustus Vorwerk, Elsa Vorwerk. He was employed as a clerk, according to the 1925 census. The following appeared on 23 January 1928 in The Niagara Falls Gazette: C. E. Carrigan, 1319 Linwood avenue, was slightly injured Saturday night, when struck by an automobile driven by Frederick Vorwerk, 1636 Ontario avenue, when he walked from behind a trolley car at Pine avenue and Tenth street. Vorwerk reported to police that Carrigan stepped directly into the path of his auto while the car was waiting for a stop signal to change. His injuries were dressed by a physician and he was taken to his home. 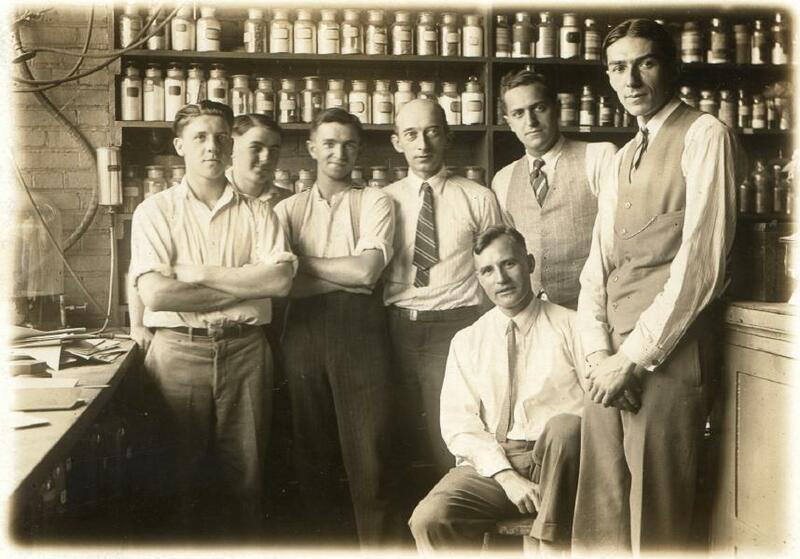 In May 1928, he was working in the Lab of Walter Uptegraff's Defiance Paper Company in Niagara Falls. Elizabeth Susanna Margaret Kammerer appeared in the US federal census of 1 April 1930 in Niagara Falls, Niagara County, New York, at 1638 Ontario Avenue. Other members of the household included Frederick Augustus Vorwerk, Elsa Vorwerk. He was employed as a beater engineer by a paper factory, according to the 1930 census. 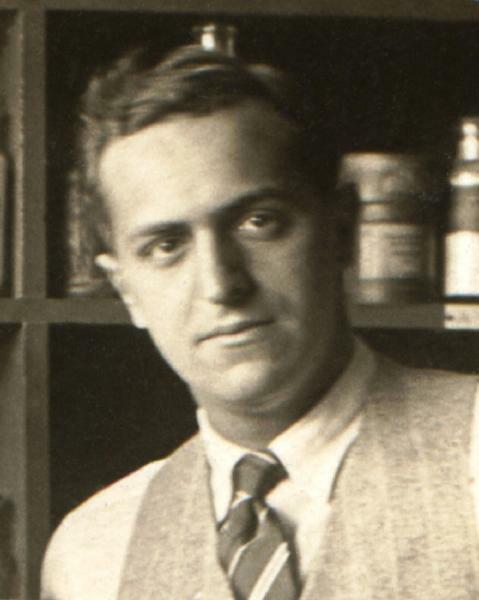 Frederick Augustus Vorwerk appeared in the '1936 & 1938 Niagara Falls, New York, City Directory at 1638 Ontario Avenue listed as a radiotrician. 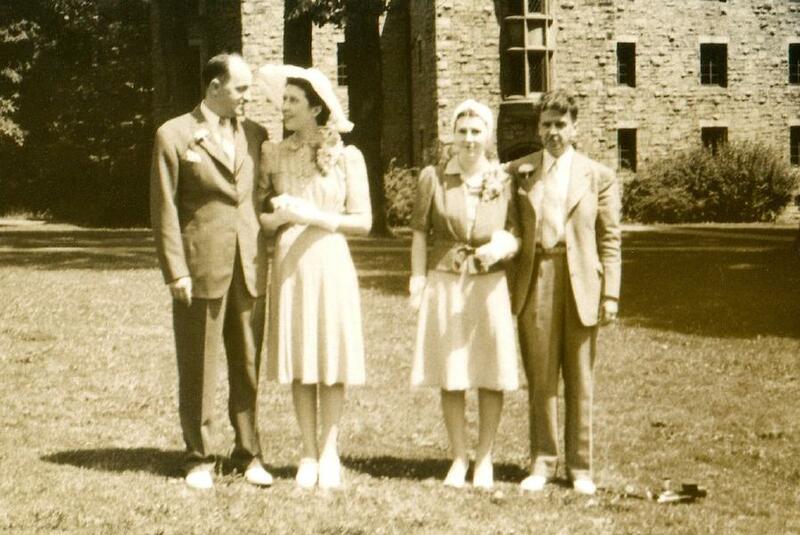 Elizabeth Susanna Margaret Kammerer appeared in the US federal census of 1 April 1940 in Niagara Falls, New York. Other members of the household included Frederick Augustus Vorwerk, Elsa Vorwerk. He was self employed as a radio electrician, according to the 1940 census. In a letter dated 27 January 1941 to Elsa Vorwerk in Niagara Falls at 1638 Ontario Avenue, Franz Eugen Laurier wrote from Montvale, Bergen County, New Jersey: Dear Elsa: The Old Proverb "You can't Keep a Good Man down" can just as well be applied to a Good and ambitious Women, as proven by you Dear Elsa; public recognition is putting the spotlight on you. The honor is well deserved and we are proud of you -- Your smiling face is splendidly reproduced in that newspaper clipping (we shall carefully preserve it). We wish and hope that this unique concert will be a great success and an inspiration for closer union and cooperation between the Christian people in Old Niagara. There is nothing of importance to report. We thank you Dear Folks for the ever useful Christmas present you sent us. Our Xmas eve Celebration was much subdued, the absence of Poor Bootie cast a gloom over it all. Aunt Georgette, also Madeleine, Dan and the Babies Michael J. and Nancy spent Sunday before New Year with us; they paid a more extended visit to Dan's Parents in Elm Hurst? L.I. The Navigators in Washington are trying hard to run our Ship of State into hostile Waters. I wonder wether or no Dear John Bull would do as much for us. I hope the whole dirty mess will be cleaned up before Our Boys have to sail for foreign shores. How about Frederick, has he been called to the colors? With his great Knowledge of Radio he would be a good man and should land a good assignment. How about it Frederick? We are well and this hasn't been a bad Winter so far. Good bye! Love to you All and Regards to any of our Old Friends you may meet. Uncle Gene & Aunt Fredericka. P.S. Will the Concert be on the Air? 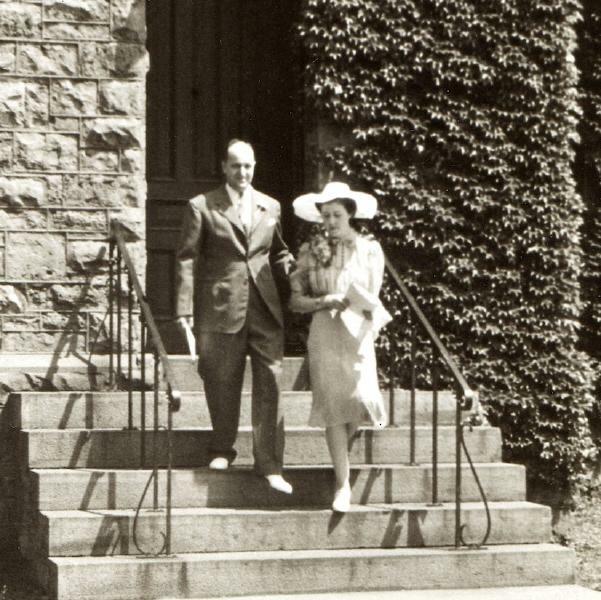 He married Carolyn Margaret Wilson, daughter of Peter MacIntosh Wilson and Louise Hayes, on 4 July 1941 in Niagara Falls, Niagara County, New York, at Ambrose Chapel, DeVeaux School, with Rev. Dr. Philip W. Mosher, rector of St. Peter's Episcopal Church, officiating. 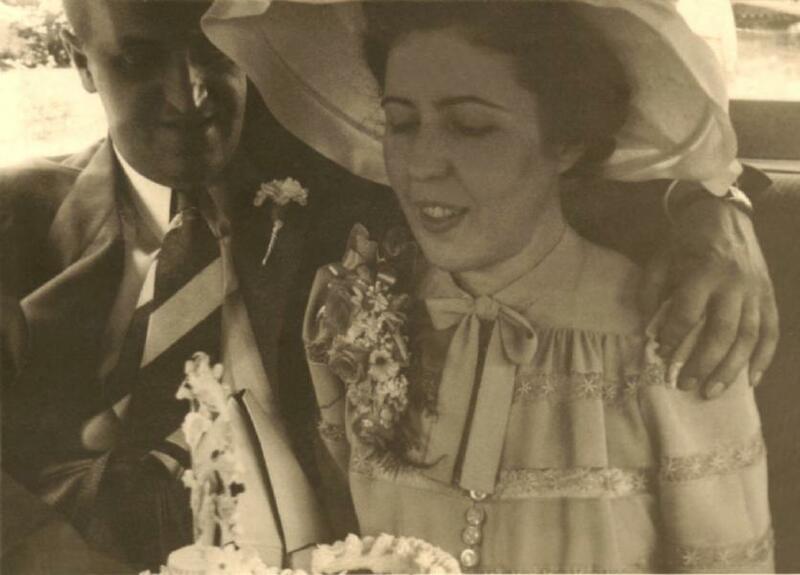 The following appeared on 5 July 1941 in the Niagara Falls Gazette: Mr. and Mrs. Peter M. Wilson, of 336 Seventh street announce the marriage of their daughter, Carolyn Margaret, to Mr. Frederick Augustus Vorwerk, son of Mrs. Elizabeth Vorwerk. The ceremony was performed yesterday morning in the presence of the immediate families in St. Ambrose Chapel, Deveaux School, the Rev. Philip Wheeler Mosher, D.D., officiating. Mr. and Mrs. G. Murray Brownjohn, of Buffalo, were the attendants. Mr. and Mrs. Vorwerk will reside in Buffalo. He applied for a Social Security account number on 24 September 1941 while living at 265 Parkside, Buffalo, Erie County, New York, and was employed there by W. E. Rains Company, at 11 West North Street. Until 10 April 1941, he had been self-employed in the radio service business. In December 1941, Frederick and Carolyn Vorwerk relocated from Buffalo to Long Branch, New Jersey, following Frederick's orders to report for civilian service at Fort Monmouth. Likely this photo of Frederick with his aunt and uncle Friedrika and Eugen Laurier was taken soon after his arrival in New Jersey. 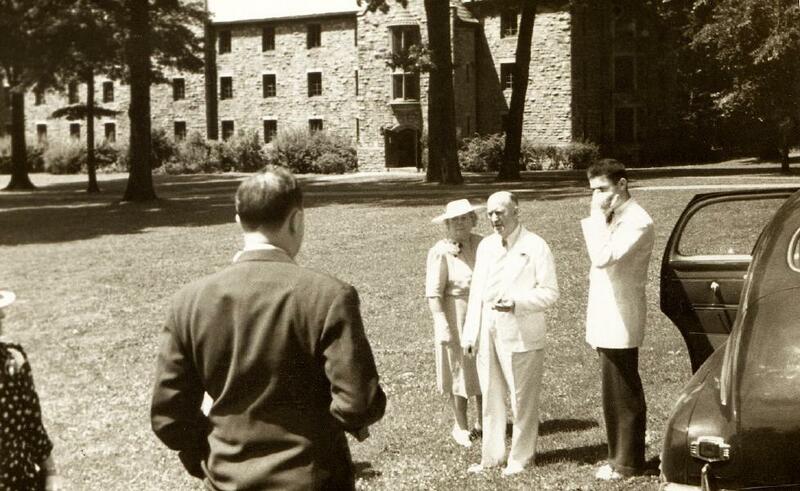 During the summer of 1942, Elizabeth Kammerer Vorwerk, and daughter Elsa, visited her sister- and brother-in-law Friederika and Eugen Laurier in Montvale, New Jersey. Also pictured are their son Carl Laurier and Carolyn Wilson Vorwerk, whose husband Frederick likely was the photographer. The following appeared on 28 August 1944 in the Niagara Falls Gazette: (Births, Out-of-Town) To Mr. and Mrs. Frederick A. Vorwerk, of Asbury Park, N. J., August 19, at Fitkin Memorial hospital, Neptune, N. J., a daughter, Elsa Louise. Mrs. Vorwerk is the former Carolyn Wilson, daughter of Mr. and Mrs. Peter M. Wilson, of Seventh street, this city. 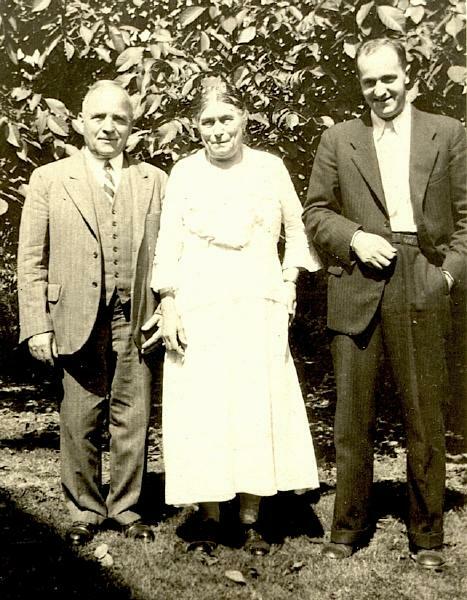 From 1947 until 1968, the Vorwerk family lived in Laurelton, Brick Township, Ocean County, New Jersey. In the late 1940s, already in his 40s, he was just learning about rural living in coastal New Jersey. It seemed to suit him, and he cherished his two young daughters. 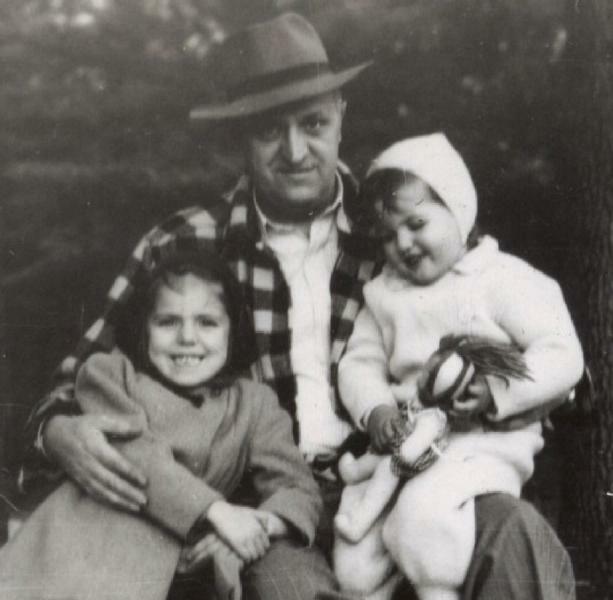 Frederick Vorwerk with daughters Elsa and Margaret, circa 1949. On 29 September 1949, Elizabeth Susanna Margaret Kammerer wrote to Frederick Augustus Vorwerk:. . . We had some sad news from Kitchener, Ont. telling of the death of their mother, cousin Freda Ernst. Elsa drove up today to attend the funeral. She was a lovely person and will be missed by her family. She was 78 yrs old. Had been in the hospital for only 3 weeks, but had been failing for quite some time. I was so sorry I could not go with Elsa, but the ride was too long, about 85 mi. . . . 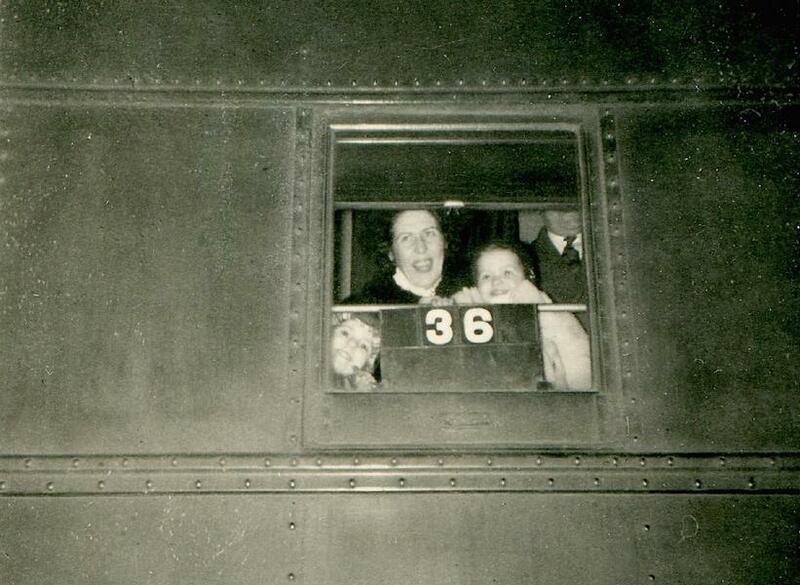 The following appeared on 2 January 1950 in the Buffalo Courier-Express: Among the visitors to Niagara Falls are Mr. and Mrs. Frederick Vorwerk, Miss Elsa Vorwerk and Miss Margot Vorwerk, who have come from Laurelton, N.J. 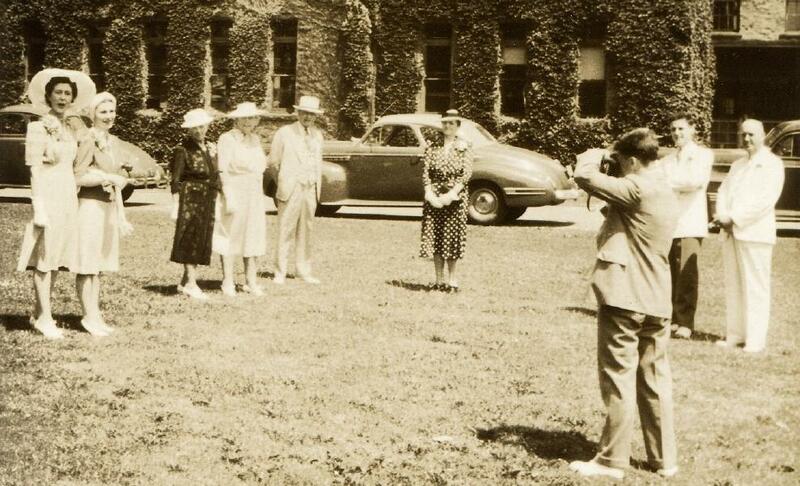 They are guests of Mr. Vorwerk's mother, Mrs. Elizabeth Vorwerk, and Miss Elsa Vorwerk in Ontario Ave. They will spend some time with Mrs. Vorwerk's parents, Mr. and Mrs. Peter Wilson, in 7th St., before returning to their home. 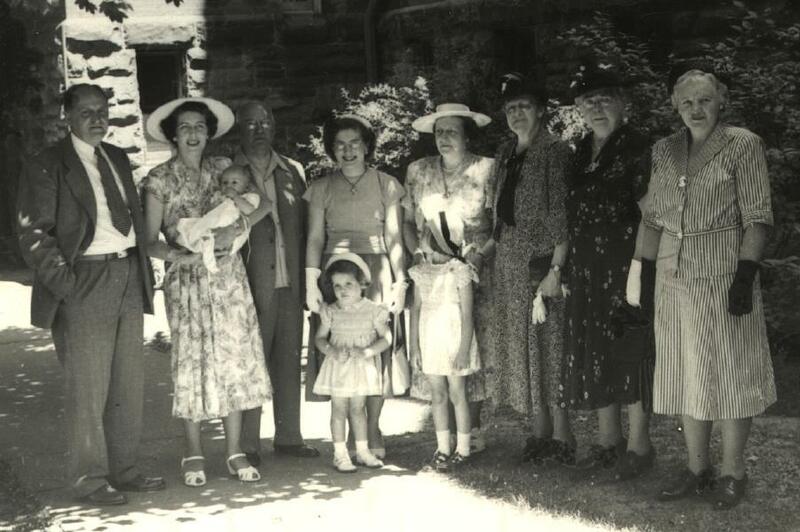 During the summer of 1950, family gathered at Zion Lutheran Church in Niagara Falls for the christening of Frederick Augustus Vorwerk Jr. Pictured are infant Frederick and his parents, Pete Wilson, Marilyn Wilson (husband Bob the photographer), Elsa Vorwerk, Elizabeth Vorwerk, Louise Wilson and Eleanor Hayworth, with young Frederick's sisters Margaret and Elsa Vorwerk in front. The following appeared on 20 October 1950 in the Niagara Falls Gazette: Out-of-town guests attending the Wilson-Guenther wedding tomorrow will be: Mr. and Mrs. Frederick A. Vorwerk, Lauerlton, N.J; Mr. and Mrs. Carroll W. Corliss, Batavia; Dr. and Mrs. Leo C. Sierk, Mr. and Mrs. Harold Ames, Miss Beverly Ames, Mr. and Mrs. Glen Sierk, all of Attica; Mr. and Mrs. Ray Sierk, Mr. Paul Sierk, Mr. and Mrs. Percy Cady, Mr. and Mrs. Norman Sierk, Darien; Miss Edna Dusinberre, Mrs. Sarah Lindsay, Geneva; Mr. and Mrs. Roy Hunn, Pavilion; Mr. Paul A. Mitchell, Forest Hills, L.I; Mr. and Mrs. Russell Hayworth and family, Mimico, Ont., and Miss Gertrude Everett, Toronto, Ont. Moxie was part of the family from 1948 until 1963. His little boy Frederick was a late and welcome addition to the family. From the beginning of World War II until his retirement in 1968, he was employed as a civilian electronics engineer by the US Army Signal Research & Development Laboratories at Fort Monmouth, New Jersey. This US Army photo was taken during the 1950s. 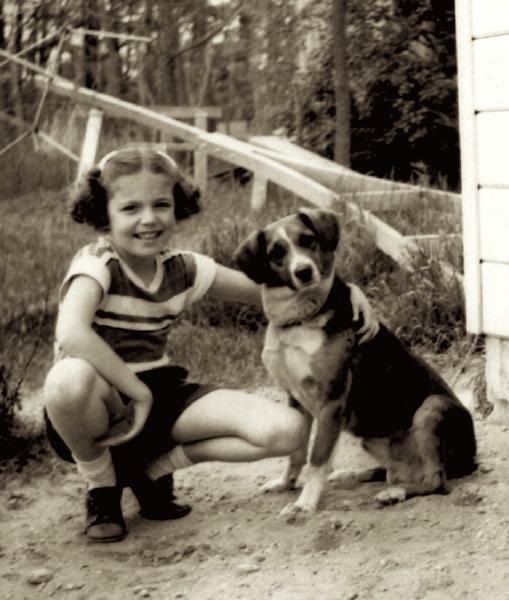 From 1968 to until his death in 1977, Fred and Kay Vorwerk lived in Louisa County, Virginia, at Blue Ridge Shores. In October 1968, he published with Anthony J. Buffa, "One-Megawatt Average-Power [Thyratron] Modulator," followed up in 1998 (?) by "Modulator Performance of One-Kilovolt Thyristors," with Thomas O. Krueger. Fred and Kay Vorwerk and son Frederick travelled to Germany aboard the SS United States in 1968. 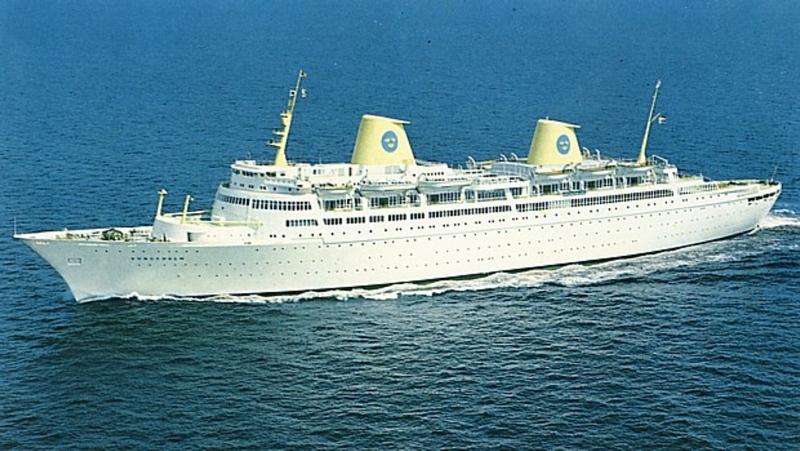 Frederick Augustus Vorwerk died on 14 January 1977 at age 70 at sea in the Atlantic Ocean near St. Thomas, Virgin Islands, aboard the MS Kungsholm, while on holiday with his wife Carolyn. . His death was officially witnessed by Carolyn Margaret Wilson. Carolyn Margaret Wilson became a widow at his death. He was buried at Hillcrest Cemetery, Louisa, Louisa County, Virginia. His remains were disinterred 2 October 2000, and transported to Niagara Falls, New York. The following appeared in a local newspaper: Frederick Augustus Vorwerk, Sr., of Blue Ridge Shores, Louisa, passed away Friday, January 14, 1977 while on a Caribbean cruise. Funeral services will be conducted by his pastor, the Reverend Joseph L. Lotts, at Woodward Funeral Home, Louisa, on Saturday, January 22, 1977 at 2:00 p.m., with interment at Hillcrest Cemetery. Mr. Vorwerk is survived by his wife, Carolyn (Kay); two daughters, Elsa Vorwerk, of Washington, D. C., and Mrs. Margaret V. Davies, of Denver, Colorado; one son, Frederick A. Jr. of Island Heights, N. J., and two grandchildren; also, one sister, Elsa Vorwerk of Niagara Falls, N. Y.
Mr. Vorwerk was born in Niagara Falls, N. Y., the son of the late August and Elizabeth Vorwerk. He was a retired engineer for the U. S. government in New Jersey and for the past seven years had made his home at Blue Ridge Shores. He was a member of the Louisa United Methodist Church. The following appeared on 21 January 1977 in The Niagara Falls Gazette: Frederick A. Vorwerk, 70, of Lake Louisa, Va., died Jan. , 1977 of an apparent heart attack while on a Caribbean cruise. Born in Niagara Falls, he was accepted in the U.S. Signal Corps in 1841 and assigned to the Electronics Research and Development Division in Monmouth, N.J. and was later located at laboratories in Red Bank and [B]elmar, N.J. After his retirement in 1970 he moved to Virginia. He is survived by his wife Carolyn; two daughters, Elsa Louise of Washington, D.C. and Mrs. Ross S. (Margaret) Davies, of Aurora, Colo; a son, Frederick A., Jr., Island Heights, N.J; a sister, Miss Elsa Vorwerk of this city, and two grandchildren. Funeral services and burial will be in Louisa, Va. on Saturday. He was reinterred on 5 October 2000 at Oakwood Cemetery, Niagara Falls, Niagara County, New York, with his parents and sister Elsa.